Body language matters. From getting a job to getting a pay rise, and from closing a deal to managing the people around you, it makes a big difference. Robert Phipps, one of the world's leading body language experts shows you how to make it work for you. 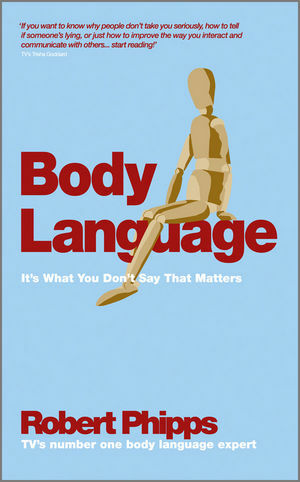 Busting some of the biggest body language myths, Phipps shows how to read other people's body language and to use yours to succeed in business and life. Robert Phipps was the resident body language expert on the Trisha show for seven years where he was known as "The Human Lie Detector". He has subsequently worked on Big Brother, This Morning and appeared in newspapers and magazines right through to the news on BBC, Sky, and GMTV, analysing celebrities, politicians and anyone else who finds themselves in the media spotlight.